Under Emmanuel Macron, France has sought to regain power and influence in the region. Amid escalating tensions, Iran's president suggested France play a key role by taking a "realistic" approach to emerging crises. Iran's president, Hassan Rouhani, on Tuesday told French President Emmanuel Macron that Paris can play a constructive role in the Middle East by taking a "realistic and impartial approach" to emerging crises across the region. In comments carried by Iranian state media, Rouhani said Tehran is ready to bolster relations with France after Macron last week urged Iran to take a "less aggressive" strategy in the region following a surprise visit to the Saudi capital Riyadh earlier this month. "We are against adventurism and creating division in the region and believe that France, by keeping an independent vote and its position in the region, can – with a realistic and impartial approach – have a productive role," Rouhani said, alluding to Iran's arch-rival Saudi Arabia. The Iranian president said "Iran does not seek to dominate" the Middle East, and is working towards "peace and security" to avoid destabilizing events, like the "dismembering of countries." Tensions between the two countries escalated last week after Macron urged Tehran to "clarify its ballistic missile strategy," largely seen as a move to shift attention from US President Donald Trump's plans to undermine the Iran nuclear deal, a pact the French president has defended. Despite criticizing Iran's regional policy, he said last week that "Iran is a power that we wish to have a dialogue with and that we will continue to talk to." 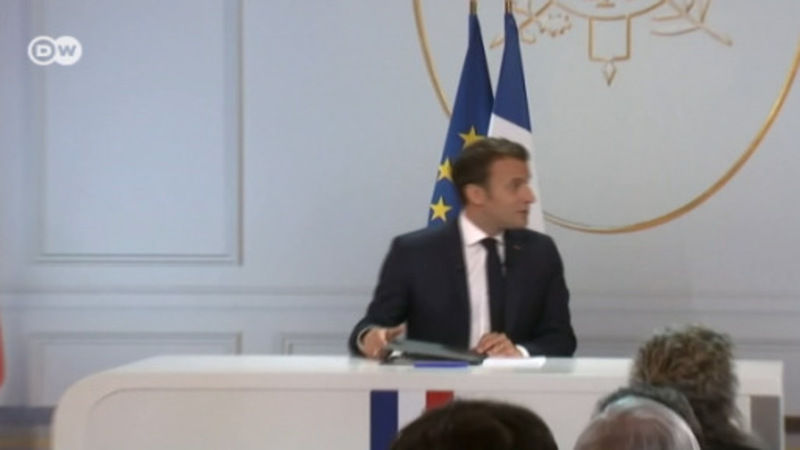 The French president has attempted to position France as a mediator in several geopolitical crises emerging across the Middle East, including the latest to erupt in Lebanon, according to analysts. On Saturday, Macron received former Lebanese Prime Minister Saad Hariri after the premier shocked his country by announcing his resignation from Saudi Arabia, sparking rumors Riyadh forced him into the decision. The French president also announced talks with Israel's premier, Benjamin Netanyahu, in December over the situation in Lebanon. European officials and analysts alike have been observing his confident diplomatic style with interest at a time of dwindling trust in traditional Western allies. "Macron is extremely opportunistic and is filling the void left by the US and the UK in the Middle East, positioning France as a playmaker in the region along with Russia," Oliver Guitta of GlobalStrat geopolitical risk consultancy told AFP news agency. Macron rose to power campaigning, in part, on a platform to reinvigorate France's diplomatic clout, in light of decades of waning influence in the region since handing over its colonial holdings in the wake of World War II.